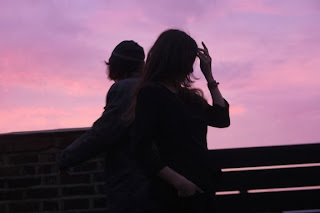 "Fade into You" was a crucial song to my adolescence, and 17 years after their last album Mazzy Star returned with their fourth studio effort, Seasons of Your Day, in September. Co-written by David Roback and Hope Sandoval, the album features performances by all the original band members, as well as guests like My Bloody Valentine's Colm Ó'Cíosóig and the late Bert Jansch. Although the California natives no longer reside full-time here, they pay homage to the state with the haunting "California." If you loved the gorgeous sounds that characterized their previous releases, then you won't want to miss this show at the Wiltern. American Cinematheque's tribute to the brilliant, Academy Award-winning actor/producer/director begins with an in-person discussion with him at 7:30 p.m. Then, there is a double feature of his latest work, kicking off with his star turn as White House butler Cecil Gaines in Lee Daniels' The Butler. Whitaker gives one of his finest performances alongside Oprah Winfrey, John Cusack, Robin Williams and Jane Fonda. Aside from his impressive screen resumé, Whitaker has also mentored some of Hollywood's brightest young filmmakers, including director Ryan Coogler, who directed the Whitaker-produced Fruitvale Station – the 2013 Sundance Grand Jury Prize winner. Michael B. Jordan shines in the true story of Oscar Grant who was tragically killed at the Oakland transit station. This is a night not to miss for fans of Whitaker's oeuvre. The award-winning chef and restaurateur of Lucques, A.O.C., Tavern and the Hungry Cat released her first cookbook, Sunday Suppers at Lucques, in 2005 and it went on to win a James Beard award. She just released a new book, The A.O.C. Cookbook, last week that contains recipes for the restaurant's delicious small plates, such as Bacon-Wrapped Dates with Parmesan, Lamb Meatballs with Spiced Tomato Sauce and S'Mores with Caramel Popcorn and Chocolate Sorbet. In the cookbook, Goin also takes you through each ingredient and the techniques that make each recipe sing. 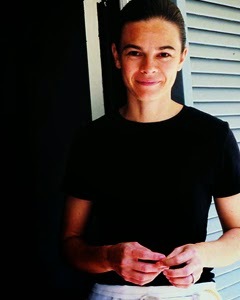 She signs copies of The A.O.C. Cookbook and gives a cooking demo at 1p.m. Star Wars put him on the map, but Raiders of the Lost Ark proved Harrison Ford to be a true leading man. Ford has become so synonymous with the trademark fedora, bullwhip and leather jacket of Dr. Henry "Indiana" Jones, that it's hard to imagine that Tom Selleck was producer George Lucas' first choice for the role. Directed by Steven Spielberg, the film became the top-grossing film of 1981, won four Oscars and, more importantly, created a new action hero that is still beloved today. Watch Indy race the Nazis to find the Ark of the Covenant as many saw the film when it was released, at the drive-in. The annual two-day gathering celebrates the instrument with clinics and panel discussions at SIR Studios and is highlighted by an all-star concert at the Fonda tonight. The conversations at SIR include Billy Sheehan, Frank Bello, Rhonda Smith, David Ellefson and Ready Freddie Washington on topics like 'The Changing Face of L.A. Session Bass' and 'Beyond the Bass: Passion Plus Hard Work = Success?'. Performers at the Fonda show are: Black Sabbath's Geezer Butler, Lee Rocker, Charlie Benante, Zakk Wylde, Corey Taylor, Tal Wilkenfeld and Kerry King, among others. When it comes to slapping that thang, all of the participating artists represent the early days and bright future of bass playing. The Odd Future Wolf Gang Kill Them All (OFWGKTA) hip-hop collective bring their festival back for a second year in a bigger, better venue. All the usual Odd Future members are set to perform – from Tyler, the Creator and Frank Ocean to Earl Sweatshirt and Mike G – along with subgroups such as funk duo the Internet, MellowHigh and DJ Taco. Special guests this time out include the awesome Flying Lotus, Mac Miller, Sacramento's Trash Talk and, representing South Central, Schoolboy Q. If you need a break from the two musical stages, there are going to be plenty of carnival games and rides, food trucks and even a skate park to occupy your time. 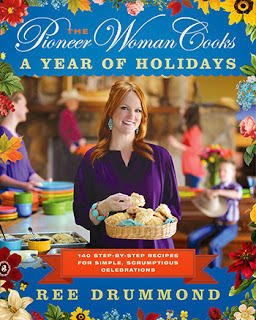 I am totally obsessed with Ree Drummond's "Pioneer Woman" show and frequently replicate many of her recipes at home. The blogger, bestselling author, photographer and "accidental cowgirl" just released her third cookbook, A Year of Holidays: 140 Step-by-Step Recipes for Simple, Scrumptious Celebrations, last week. She shares ideas and recipes for every special event you might find yourself hosting, from brunches and dinner parties to Halloween and Fourth of July. She beat Bobby Flay in a Thanksgiving "Throwdown" three years ago, and you can find some of those dishes in the 19 recipes she shares in the Thanksgiving section. The cookbook sold out in mere seconds when it debuted on QVC a few weeks back, so I know I'm not alone in my obsession. Heed my warning to arrive early to get your wristband and not miss out on the book signing. The boundary-breaking chef, who rose to fame with his Kogi trucks and continues to fill Angelenos' bellies at Chego!, A-Frame and Sunny Spot, released his enthralling memoir, L.A. Son: My Life, My City, My Food, on Nov. 5. In it, he tells of childhood afternoons spent at his parents' Korean restaurant and studying at the Culinary Institute of America, while spotlighting the dishes that have peppered his journey – homemade kimchi, East L.A. street tacos, pho in Downtown's Jewelry District. Another of the city's culinary treasures, KCRW's Evan Kleiman, hosts the conversation with Chef Choi at 7:15 p.m.
Portland, Oregon's Sam Coomes and Janet Weis celebrated their 20th year together as a band with the release of a new double album, Mole City, last month and bring their national tour to Los Angeles with a stop at the Echo. Featuring tracks like the zany "Chrome Duck," melancholy "Chumps of Chance" or seething "An Ice Cube in the Sun," Quasi is just as genre defying as ever on their latest effort. One thing is for sure, they put on a great live performance, so don't miss this show.